The U.S. and India are scheduled to sit across the table this week in Geneva to discuss the case filed by India with the World Trade Organization’s (WTO) dispute settlement mechanism over the U.S.’s imposition of import duties on steel and aluminum. The talks will be held under the aegis of WTO’s dispute settlement mechanism, according to a news report by the Press Trust of India. India is part of the group of nations — which includes China, Russia and Norway, among others — to have filed separate dispute claims on the topic with the WTO. The meeting is part of the consultations the U.S. will be holding with all such countries on July 19-20. It may be recalled that the U.S. had imposed a 25% tariff on steel and a 10% tariff on aluminum imports from India. India’s exports of the two commodities to the U.S. stands at about U.S. $1.5 billion per annum. India had initially tried to raise the issue with the U.S., and then informally with the WTO, calling the move an “abuse of global trade provisions that could spiral into a trade war,” — sentiments similar to the one expressed by India’s neighbor, China. In May, India dragged the U.S. to the WTO dispute settlement mechanism over the imposition of import duties. Consultation is the first step of the dispute settlement process. Incidentally, both the countries are already involved in disputes at the global trade body in the areas of poultry, solar, and export subsidies, to name a few. According to another news report, senior trade officials of India and the U.S. will meet later this month in Washington to conclude negotiations on a “mutually-acceptable trade package.” Quoting an unnamed official source, it said the meeting comes amid an escalation of the global trade war. 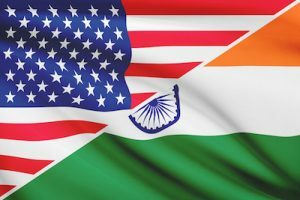 Since India’s proposed additional tariff worth U.S. $235 million on 29 U.S. goods — including almonds and apples — are retaliatory in nature, any rollback of the additional duty on Indian steel and aluminum by the U.S. will lead to a withdrawal of corresponding taxes by the Indian Government on U.S. goods, too. The U.S. sees good prospects for its companies in the Indian civil aviation, oil and gas, education service, and agriculture segments.